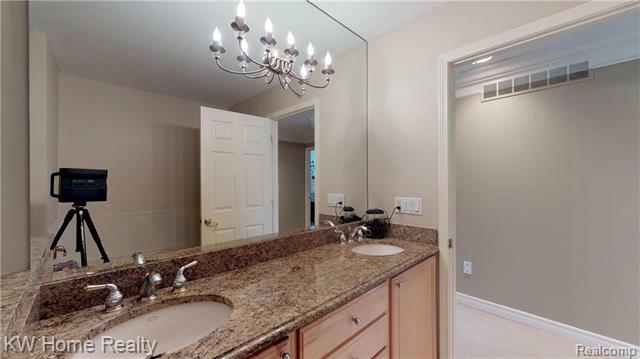 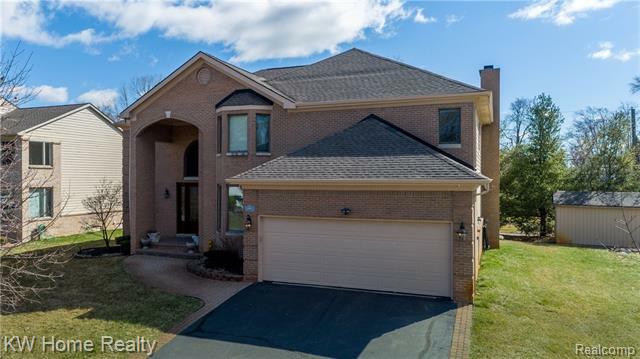 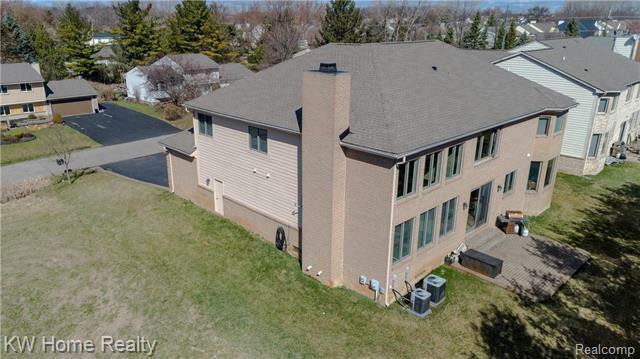 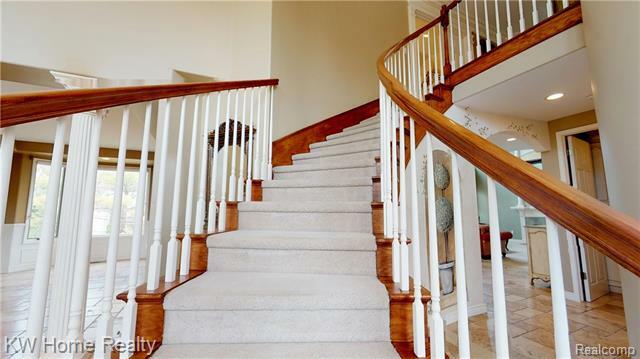 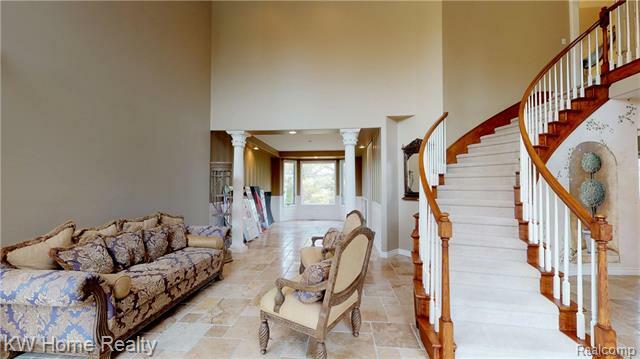 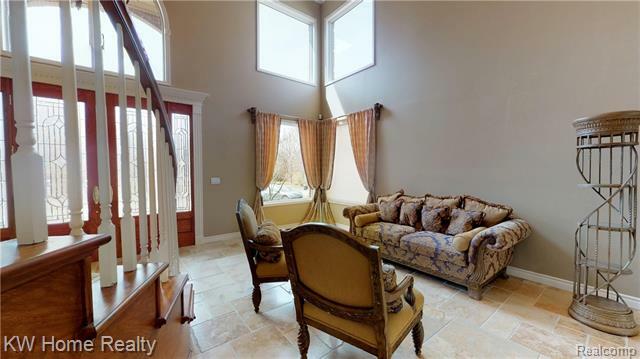 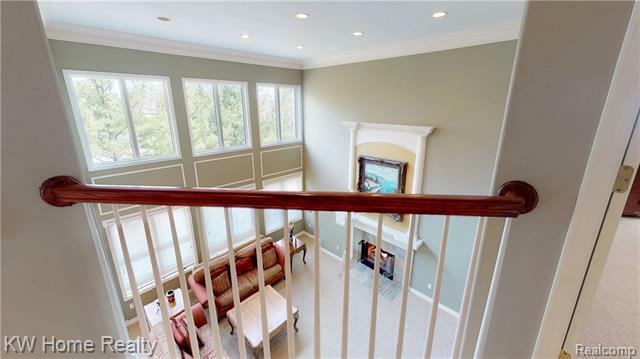 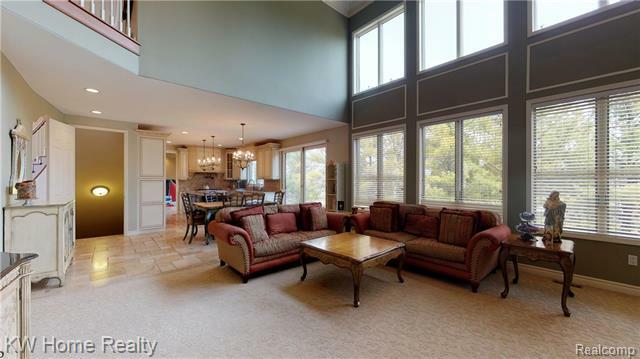 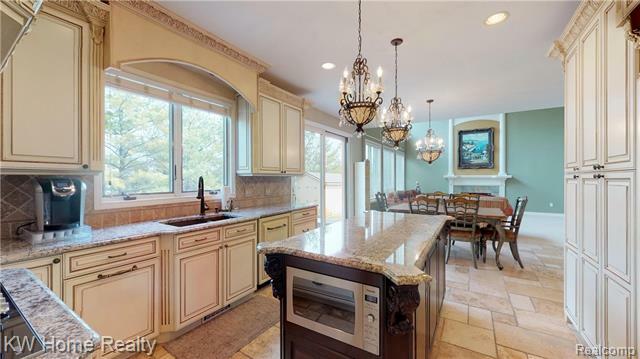 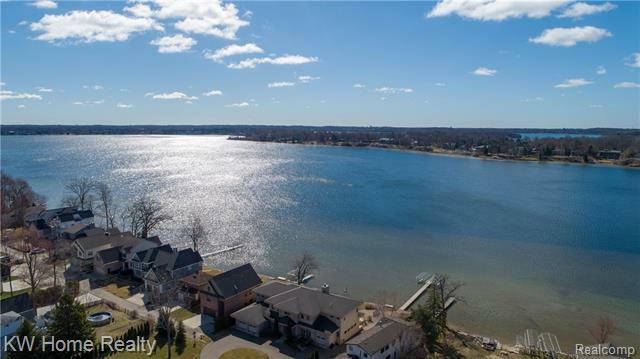 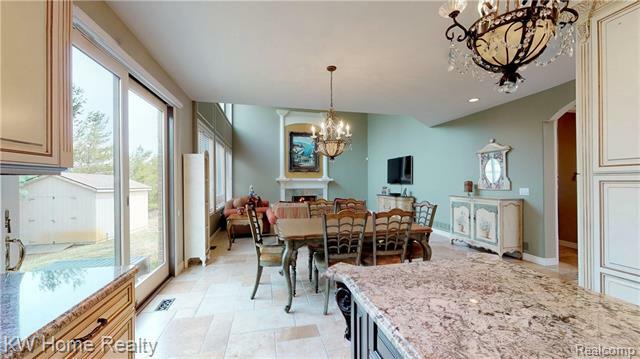 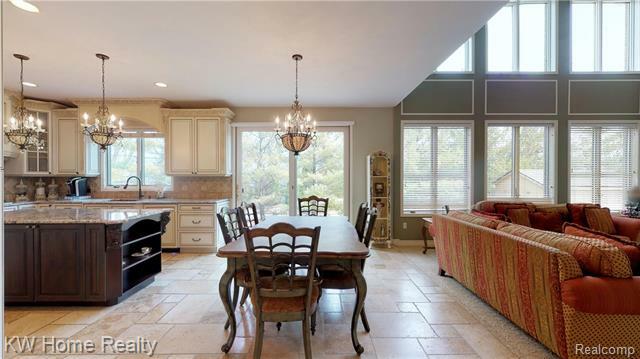 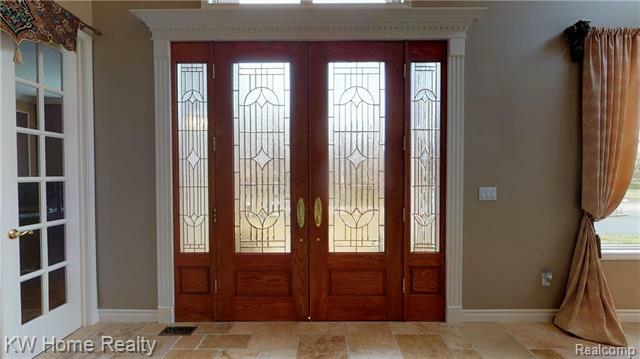 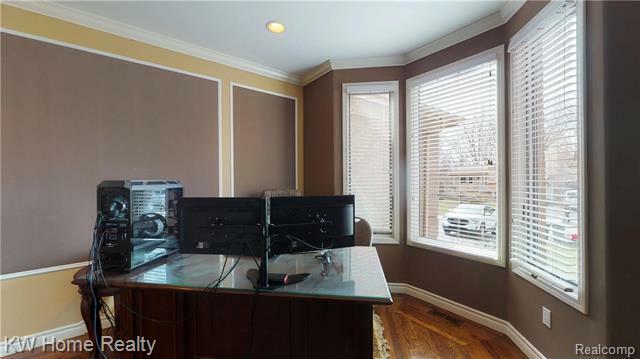 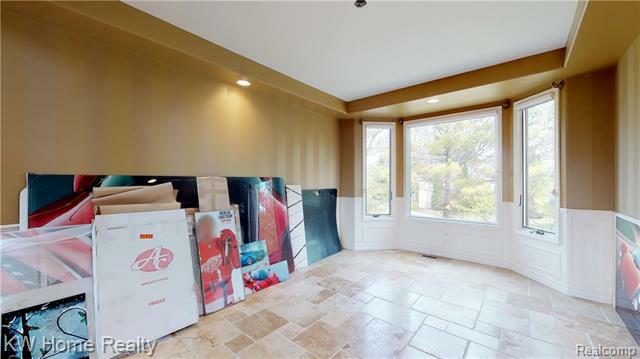 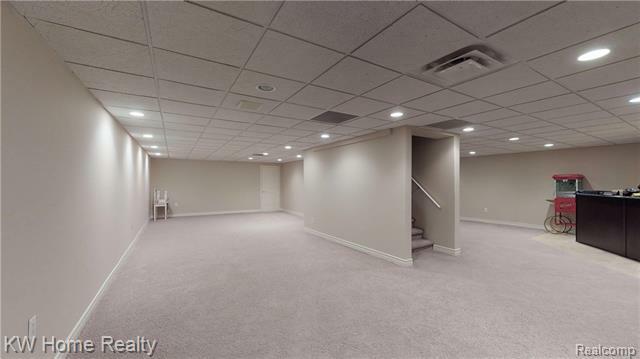 Stunning West Bloomfield home! 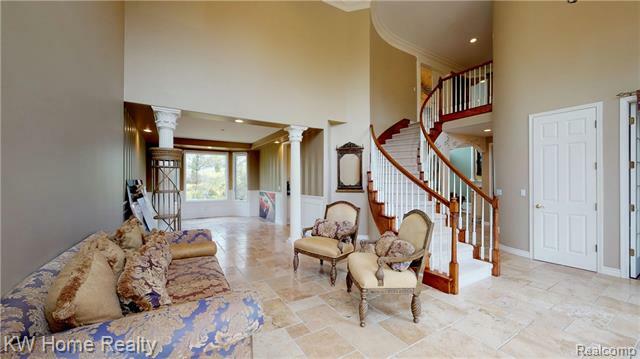 The entranceway boasts a stunning circular staircase and 2-story ceilings with windows that fill the living and dining area with natural light. 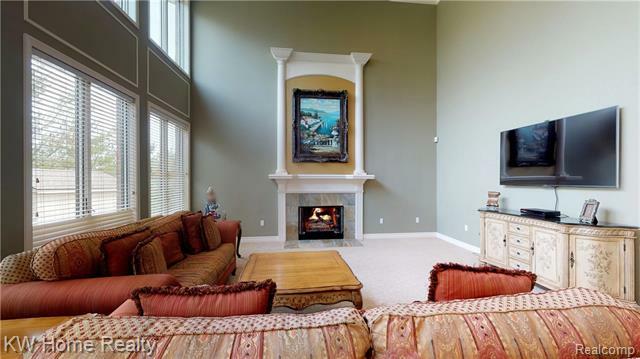 The kitchen opens to the spacious family room, perfect for today’s lifestyle. 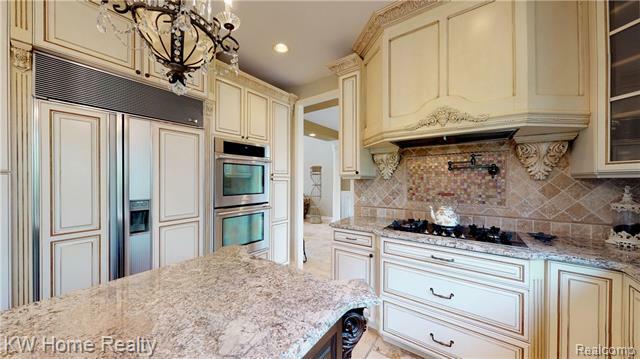 Gourmet kitchen with custom maple cabinetry and high-end appliances, as well as granite countertops. 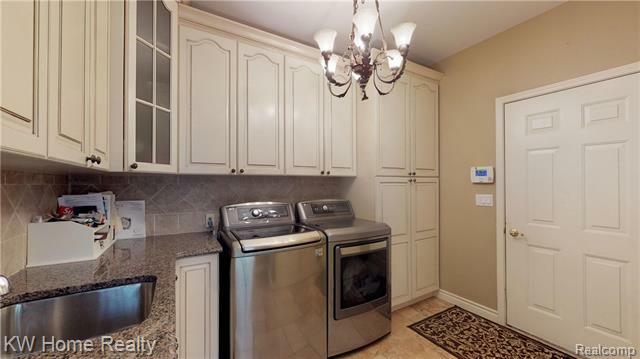 Custom cabinetry and granite also carried through the first-floor laundry room. 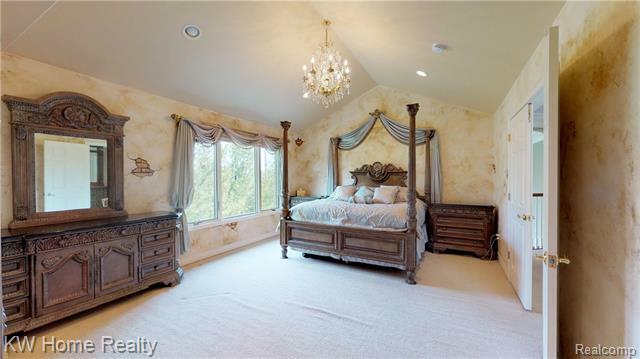 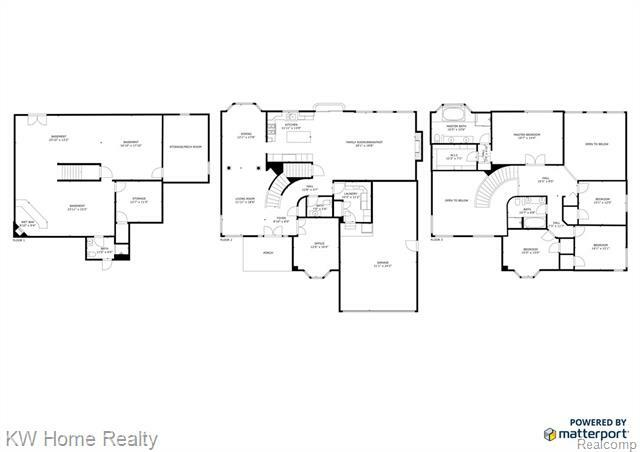 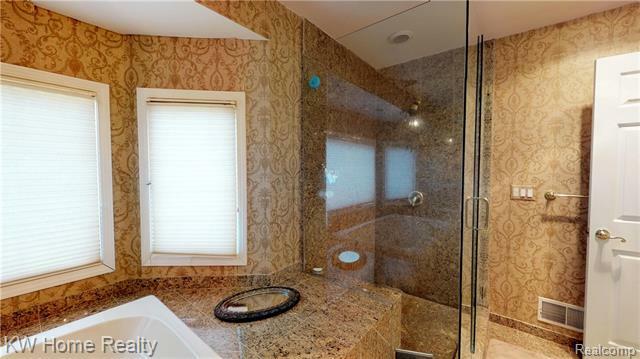 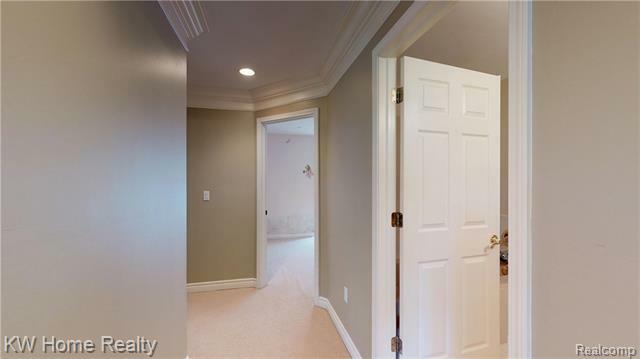 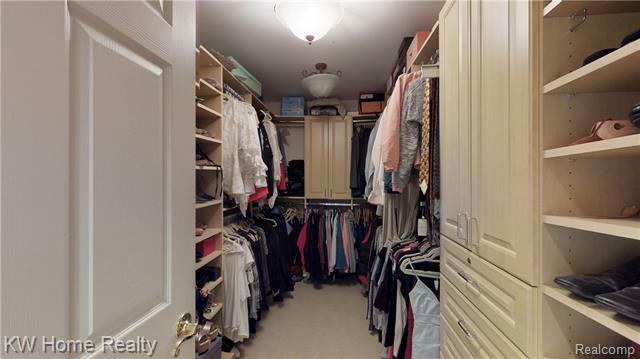 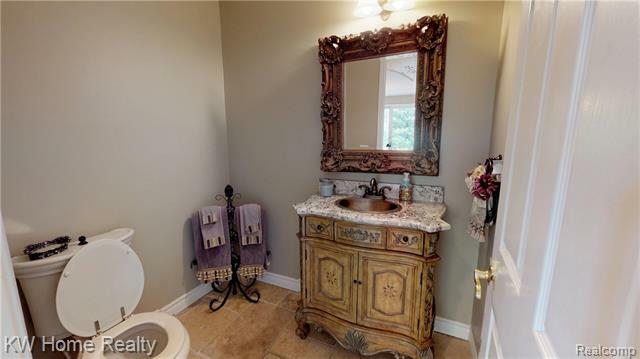 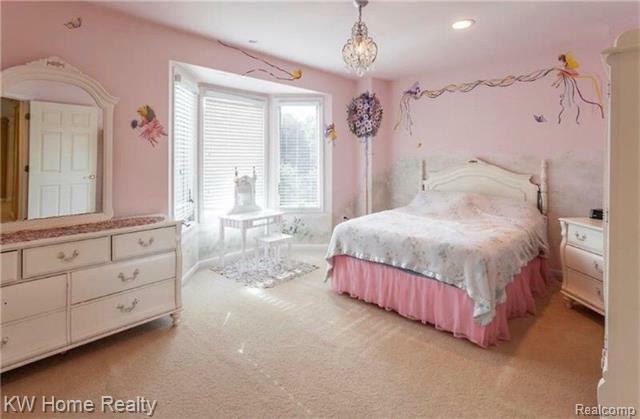 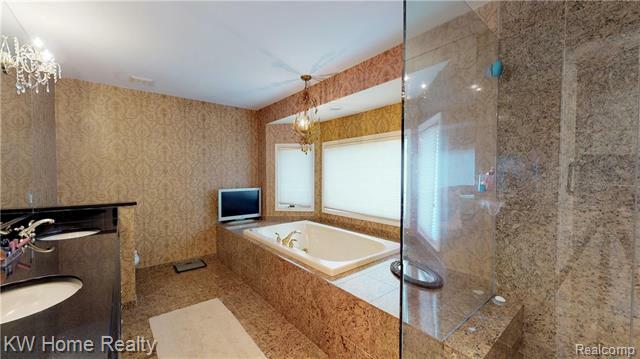 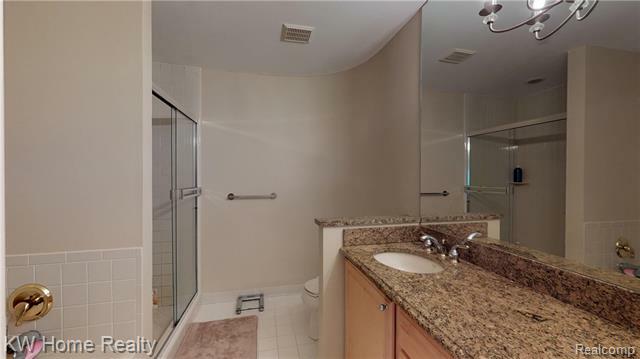 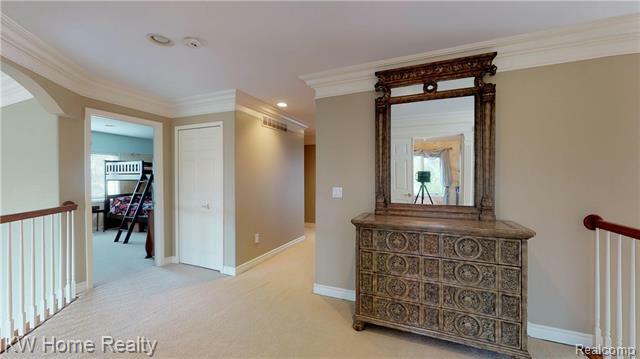 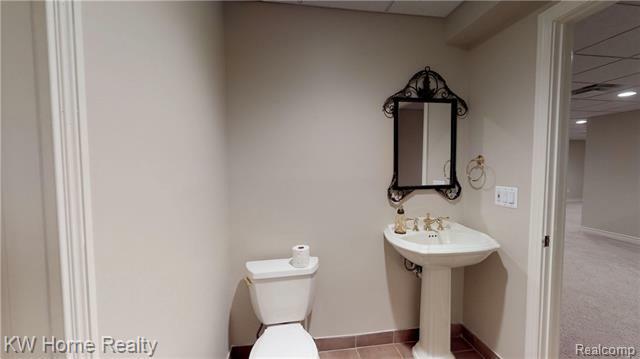 Master suite has vaulted ceilings, large WIC and luxurious bathroom. 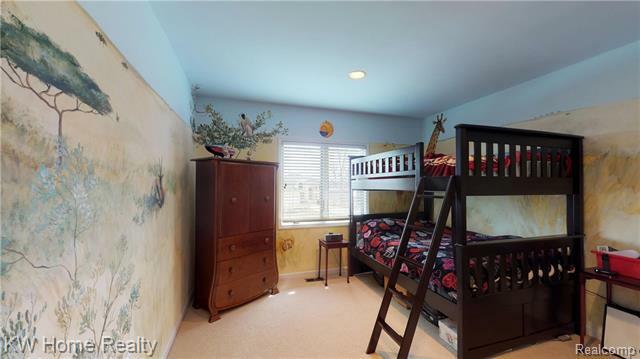 The upper level has three other large bedrooms and a full bathroom. 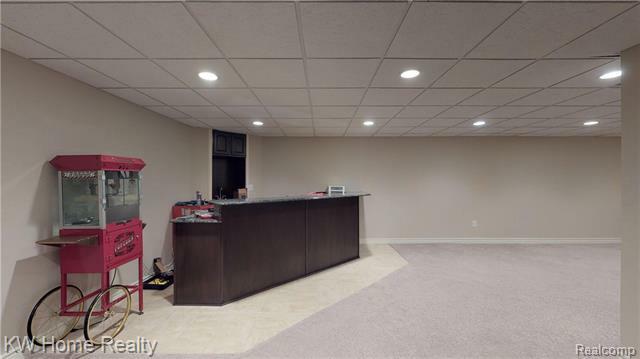 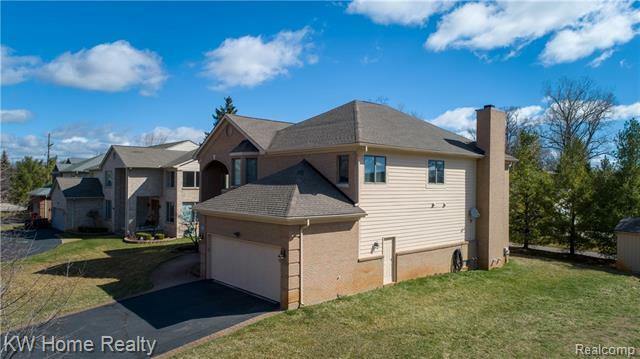 Fully finished lower level has a wet bar and an abundance of added living and storage space, as well as another full bath. 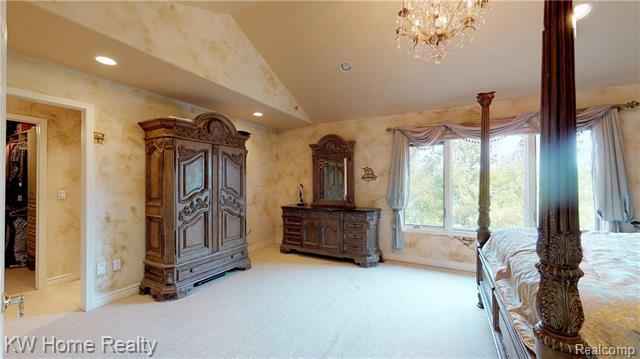 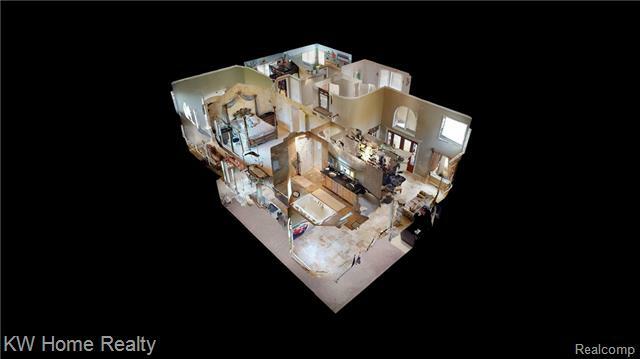 Whole home has 9ft ceilings and 8ft doors. 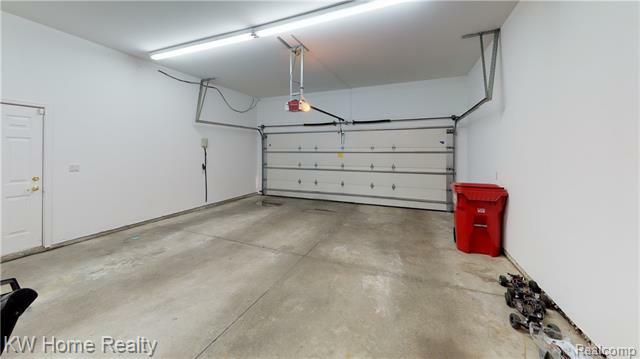 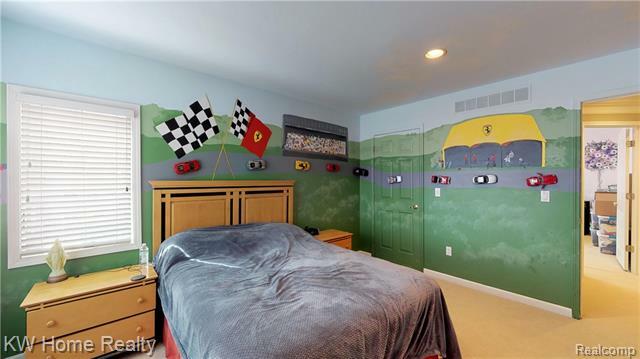 Garage has room for three cars, with an extra tandem spot. 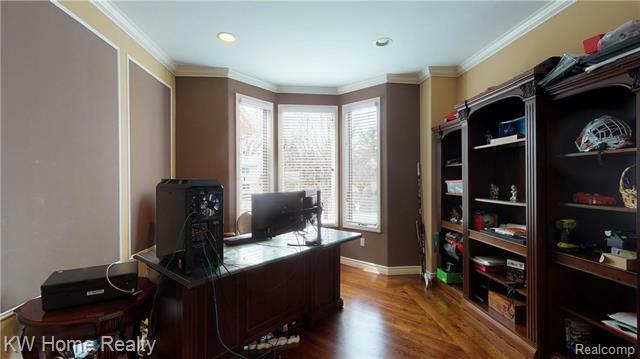 Just added 2 new furnaces, 2 a/c units, and 2 water tanks. 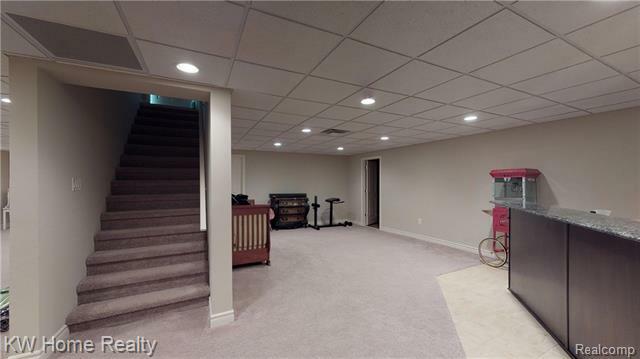 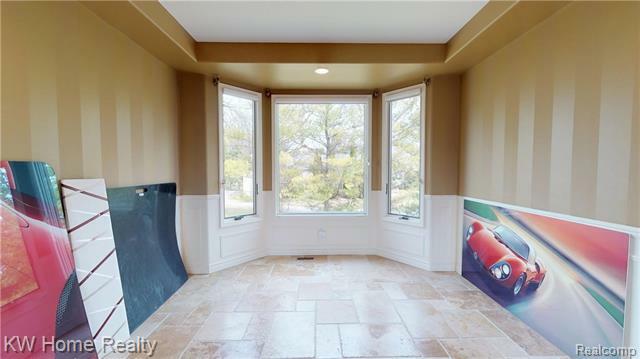 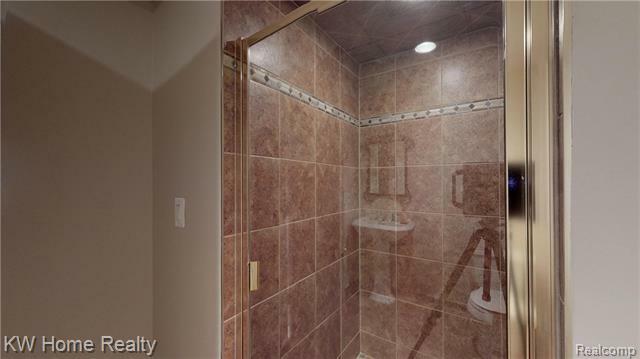 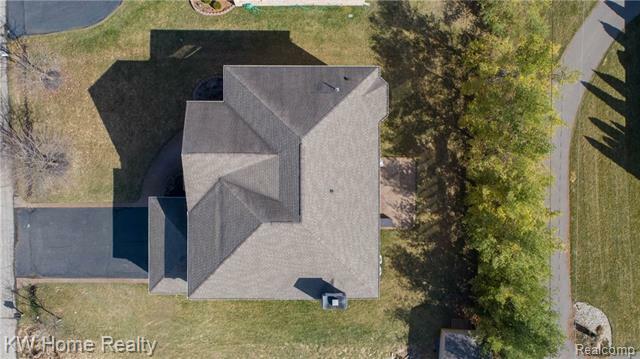 Freshly painted exterior, brick patio and walkway, and tree-lined yard that provides privacy.